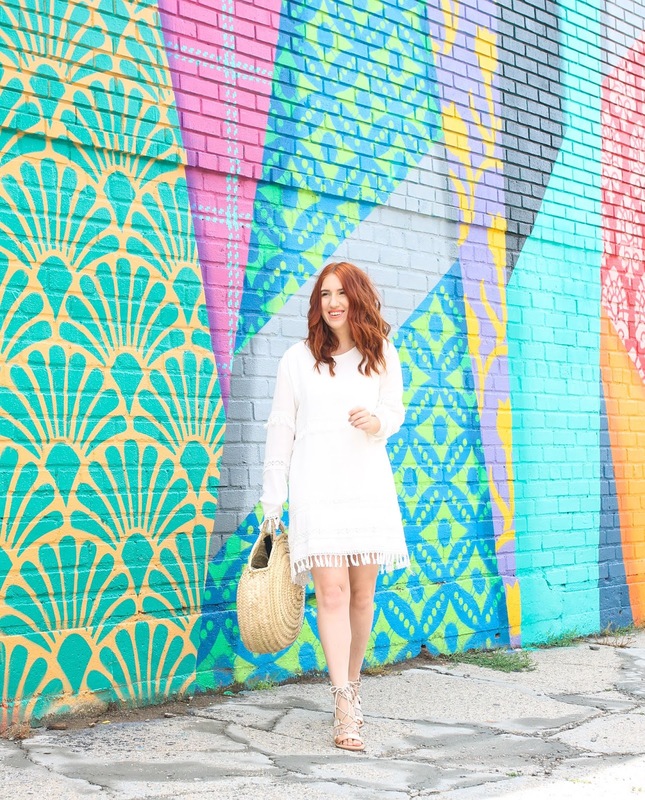 If it hasn't been terribly obvious over the last few years, I love wearing white. 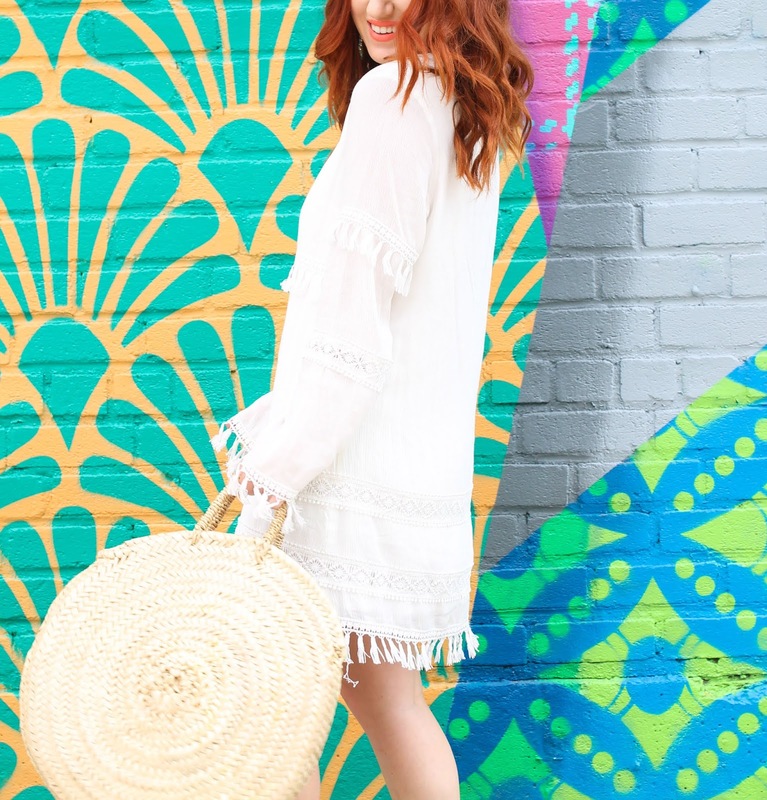 It's bright, crisp and looks great with just about anything. For me, when I'm wearing white, I'm a magnet for everything and anything to stain whatever it is that I'm wearing. I don't know how, but I manage to do it. But you're a mom of three boys, Megan. Come on. Yeah, I can't entirely pull the parent card because truth be told, it happens when there's not a kid in sight and it's been happening for years before they were even a twinkle in my eye. For instance, last week when I was shopping, I walked up to the cash register and noticed my white top had not one, but two coffee-hued stains up front and center. Naturally, it was from me entirely missing the mark while sipping my coffee, and no kids around to blame, but regardless, there they were. So yeah, I'm clumsy and need a lot of help when it comes to keeping my whites, well, white. 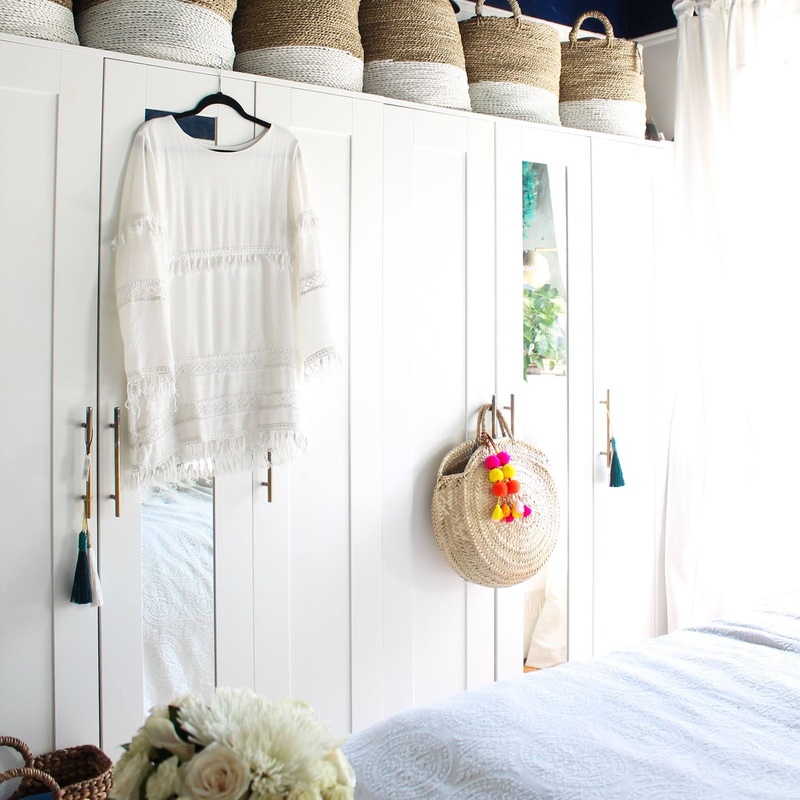 I don't just reserve this special treatment for my favorite tops, shorts and dresses - I'm all for keeping white towels, quilt and sheets bright and fresh for as long as possible, especially when I'm constantly transferring makeup to my towels. 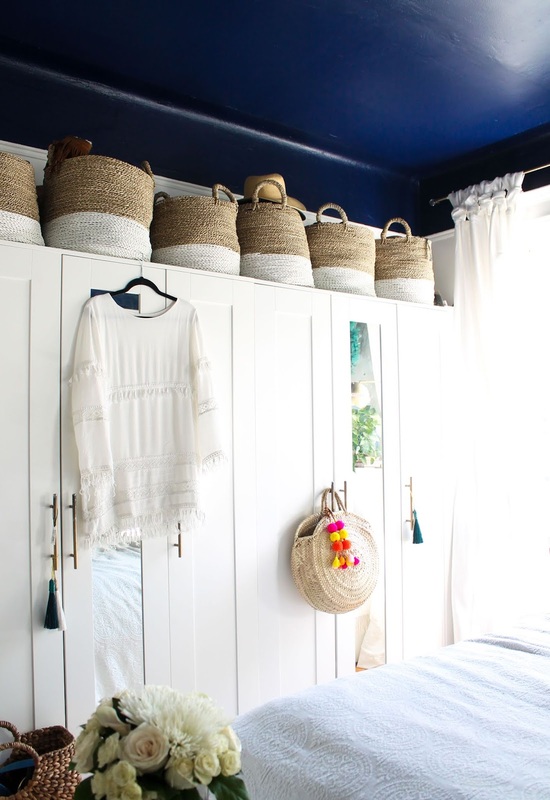 For using Clorox in the Laundry to keep your whites bright and stain-free, I try to use it every other cycle unless I have some serious stains in action. 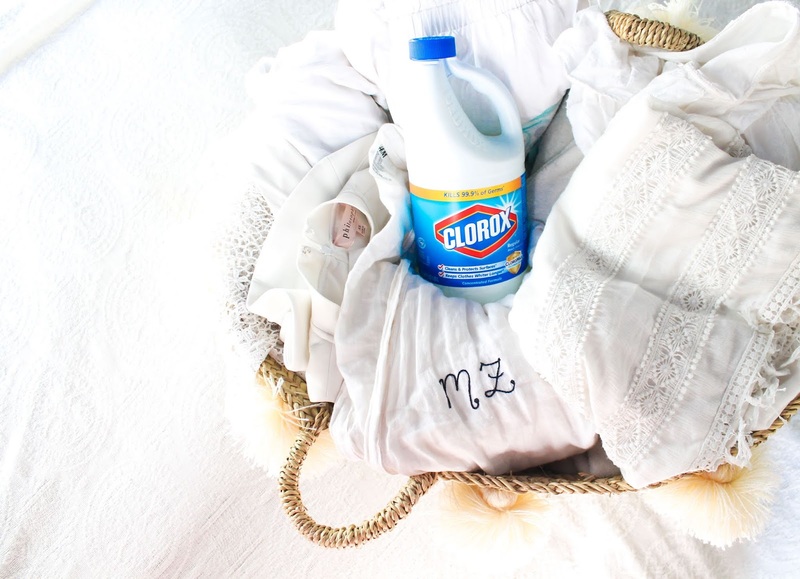 I use about a 1/2 cup of Clorox® Regular-Bleach2 with CLOROMAX® with a regular load of laundry. I start by adding the water to the wash cycle waiting a few minutes and then add the bleach, followed by detergent and laundry. Wash and dry like usual! Most washers have a dispenser in which you can just fill it to the line. I like to do it the old fashion way like my mom taught me years ago. Either way works! 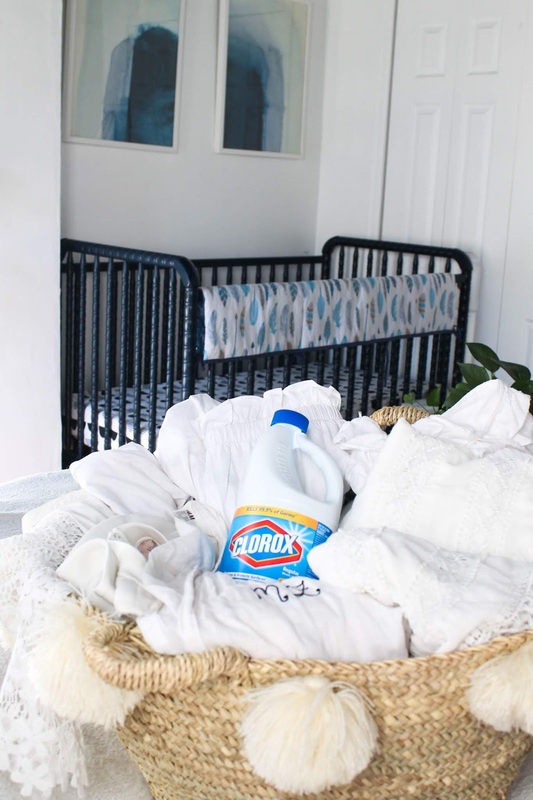 Added bonus: Clorox® Regular-Bleach2 with CLOROMAX® disinfects to kill 99.9% of germs and keeps clothes whiter longer and cleans and protects surfaces. 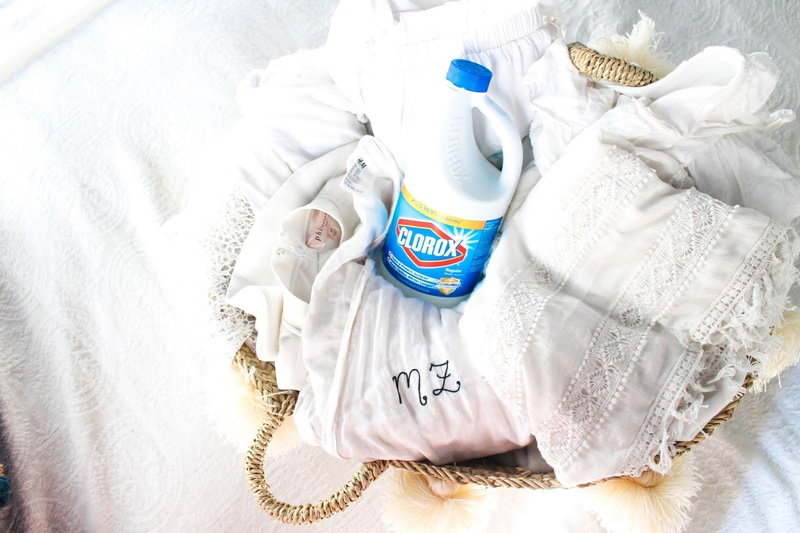 You can find Clorox® Regular-Bleach2 with CLOROMAX® at Walmart and Walmart.com! Editor's Note: Like other cleaning supplies and chemicals, be mindful of where you store and use them when children are in the house. We like to keep any and all supplies on a tall shelf that only David and I can reach with a stool.